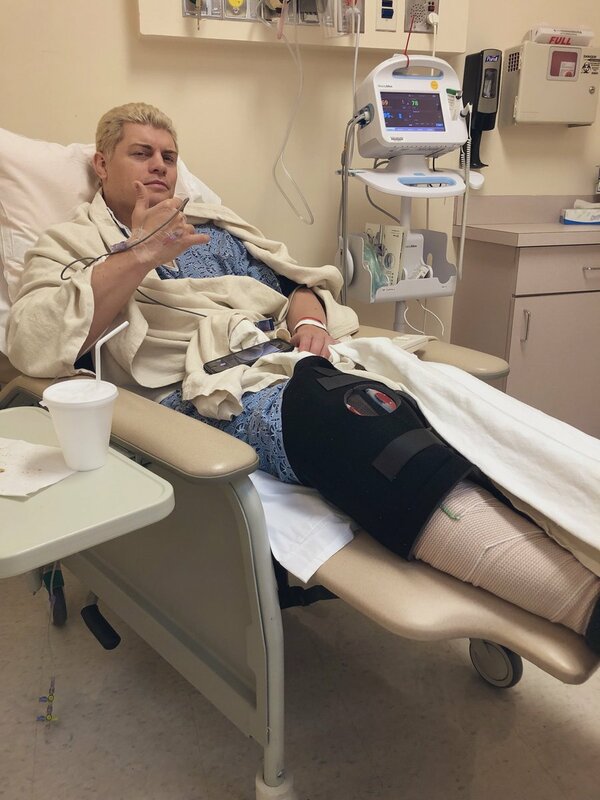 Cody Rhodes Undergoes Successful Surgery Today - Wrestling Inc.
All Elite Wrestling Executive Vice President Cody Rhodes underwent successful arthroscopic knee surgery earlier today in Atlanta. While teasing a t-shirt toss into the crowd, Cody suffered the injury back on November 9 at a ROH Global Wars live event in Buffalo, NY. Cody underwent an MRI at that time and it was revealed that he had two tears in his meniscus. He would then lose to ROH Champion Jay Lethal at Final Battle on December 14, then he dropped the IWGP United States Heavyweight Title to Juice Robinson at New Japan's Wrestle Kingdom 13 event on January 4. He's also made a few in-ring appearances at indie events since then. Brandi Rhodes noted on Twitter earlier today that Cody would be better in time for AEW's first event on Saturday, May 25 in Las Vegas - Double Or Nothing. There's no word yet on who Cody will wrestle at Double Or Nothing but he is expected to be in action. Dave Meltzer noted on F4Wonline.com that the surgery would likely keep Rhodes out of action for 2-3 months. He is not scheduled for any matches until Double Or Nothing. They just took my love @CodyRhodes back for surgery. Hate being on the waiting end this time. But I know he's going to feel so much better in time for #DoubleOrNothing ? ?